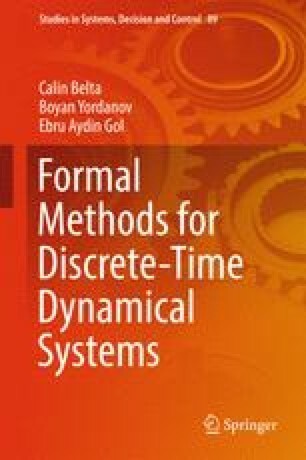 In this chapter, we introduce the two classes of discrete-time dynamical systems that we will focus on in the rest of the book: piecewise affine control systems with polytopic parameter uncertainties and switched linear systems. As particular instantiations of the first class, we define autonomous systems, fixed parameter systems, and combinations of the above. We define embeddings of such systems into (infinite) transition systems. This enables formal definitions for their semantics and the use of abstractions to map analysis and control problems for such systems to verification and synthesis problems for finite transition systems.